Lorde cast a love spell over Philadelphia during her April 2018 performance at the Wells Fargo Center. The stardust has yet to settle in Philadelphia since Lorde swept through the city. She stopped at the Wells Fargo Center on the North American leg of her Melodrama tour. 2017 was a huge year for New Zealand’s queen of pop. After releasing her sophomore album in June, she received a well-deserved Grammy nomination for the album, and then toured it in Europe and Oceania. After over nine and a half months since the album release, March 1, 2018, marked the start of the long awaited North American tour. Lorde opened the show with “Sober,” a feisty song from the new album. 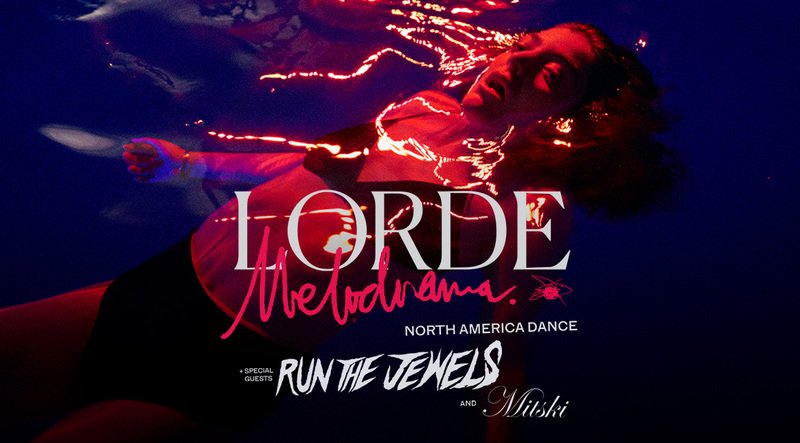 This track has a bite to it, and Lorde didn’t waste any time getting into her element. Her performance included all of the songs from Melodrama with a few throwbacks from Pure Heroine (2013). The set list also included “Yellow Flicker Beat” which she wrote for the third movie in The Hunger Games series, Mockingjay Part 1 as well as “Magnets,” a collaboration on Disclosure’s album Caracal (2015). Lorde has a very dynamic presence on stage. She is incredibly delicate at times as she angelically drifts across the stage as if to be floating. In addition to the constant fan gently blowing her hair and her selection of flowy, frilly outfits. She announced, “I wrote this song when I was 16… It’s about a party,” before singing Pure Heroine’s fourth track, “Ribs.” This song has a soft beginning that grows into a droning chorus. The evolution of this song was especially alluring live. Another really gentle moment was when Lorde spoke about “Liability.” She sat on the stage and said, “’Liability’ is a song about being alone… So it’s quite breathtaking to play it for a room full like this.” This song created an intimate moment between the star and her audience. The crowd lit the flashlights on their phone, creating a galaxy for this quiet but striking song. At other times Lorde’s presence is completely polarized and her electric energy consumed the entire arena. Lorde exudes so much genuine joy when she performs and the audience can’t help but to feed off of it. ”Homemade Dynamite” was one of her bigger moments on stage. She was glowing as she radiated so much energy from the tips of her fingers to her feet dancing across the stage. She was accompanied by a group of lyrical dancers who had the audience in awe and subtly complemented Lorde’s every move. The performance as a whole was quite dramatic and Lorde has such a regal persona, but she is bursting with personality on stage. Although the concert was in an arena, Lorde interacted with her fans as if she were talking to each one individually over drinks. Between songs she’d giggle over things like, “It’s been a while, we have a lot to catch up on… Are you seeing anyone?” She also explained how an arena tour often means spending time in teams’ locker rooms. She described her thoughts when showering in the locker rooms, “Who am I trying not to get athletes foot from today?” These little moments made the audience laugh but also made her so much more real and personable. Lorde electrified the audience when she performed “Royals,” into “Perfect Places,” into “Green Light.” “Royals” brought a sense of nostalgia to the arena, as this was many fans’ “love at first listen” track with Lorde. “Perfect Places” and “Green Light” are two of her most anthemic songs to date and the audience responded accordingly. These two songs must be listened to at max volume through headphones and speakers, but still never seem loud enough so hearing them live took them to a new level. Between these two songs, Lorde paced the stage giving the audience instructions, telling them she wrote this next song to release petty and angry feelings. She urged the audience to give her everything they had in return. Then the heavy piano chord that begins “Green Light” echoed through the arena. When the song reached the chorus, a downpour of confetti threw the audience into the eye of Lorde’s storm. The star-shaped confetti had different hand-scribbled lyrics from Melodrama in Lorde’s own handwriting. The little starlets continued to fall even as the intensity of the song and atmosphere kept rising. In a whirlwind of a rush, the song ended and Lorde exited the stage. Lorde returned to the stage for an encore that began with her showcasing her mixing skills on “Loveless.” Then there was a quiet pause and the audience held a unison breath because there was one song left that everyone was waiting for. Lorde’s voice leaned into the mic with the opening line, “Wait ‘til you’re announced…” and the arena erupted. 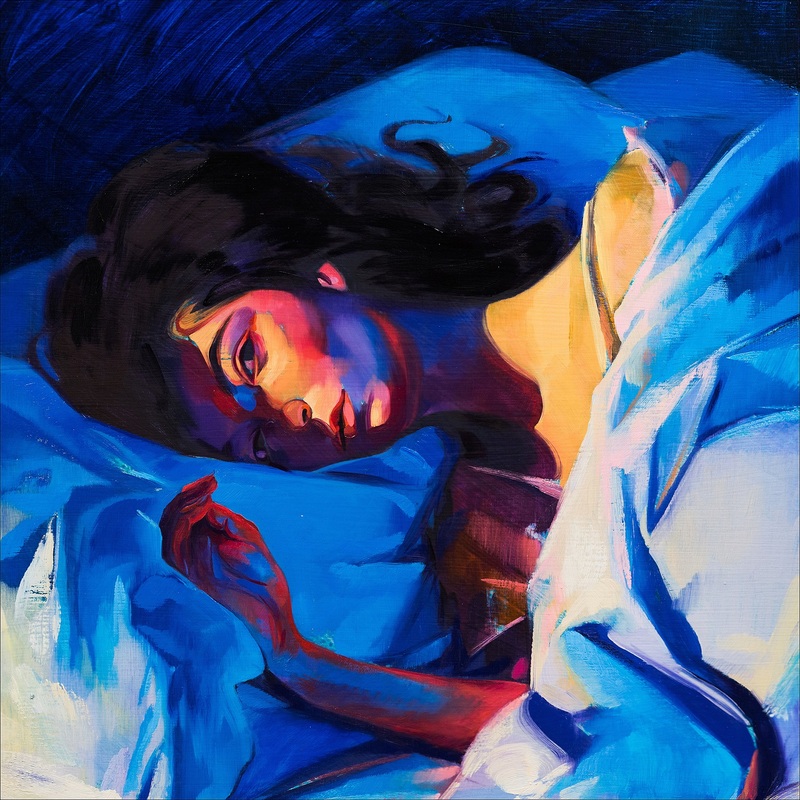 It seemed as though the intensity had reached its zenith during “Green Light” but everything was heightened even more during “Team.” This anthem from Lorde’s first album elicited a mutual familiarity between fans and the star herself that was unparalleled. As everyone filed out of the arena in a dreamy haze, people bent over to grab a few pieces of star confetti; Lorde had left everyone with stars in their eyes and pockets.